ArtPlace America announced that conNECKtedTOO has been chosen from nearly a thousand applications to receive funding through its 2017 National Creative Placemaking Fund. ArtPlace received 987 applications in 2017, from which 70 finalists were selected andconNECKtedTOO is one of only 23 projects that will receive funding this year. ArtPlace has a deep commitment to investing in rural America, with almost 52% of this year’s funded projects working in rural communities. ArtPlace’s National Creative Placemaking Fund is a highly competitive national program, which invests money in community development projects where artists, arts organizations, and arts and culture activity work to strengthen communities across 10 sectors of community planning and development. 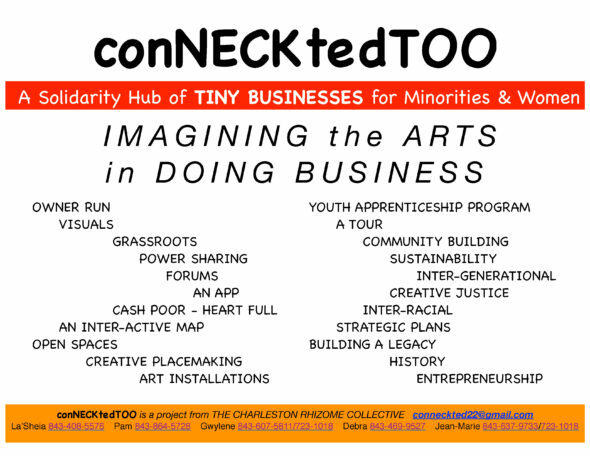 Charleston Rhizome Collective’s project, conNECKtedTOO, seeks to create a network linking Tiny Neighborhood Businesses to cumulate buying and selling power, engage residents in decisions over business ownership, loans, job training, hiring practices, wholesale prices, schooling and housing. The Collective will implement a network that addresses the needs of Small/Tiny Businesses, using installations, visuals, forums, a tour, an app-based interactive map and a youth entrepreneurship program. Meet all of the 2017 funded projects here. 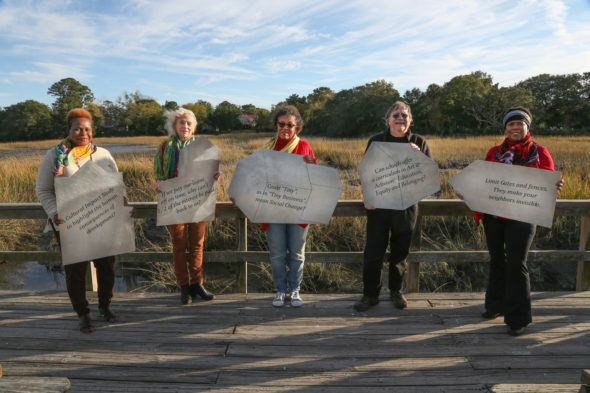 Based in Charleston, South Carolina, the Charleston Rhizome Collective is an Art-in/with community group, where education, art and activism intersect. By design, it is grassroots, inter-racial and inter-generational. Through the arts, they aim to amplify the voices of neighborhoods absent from public and private plans: social, cultural and economic. For conNECKtedTOO, additional partners have been recruited to the project including Black Collective, City of Charleston Office of Cultural Affairs, and South Carolina Association for Community Economic Development. For more information, visit conNECKtedTOO.org.